Plymouth Albion have signed props Tom Fidler and Tom Heard for next season. 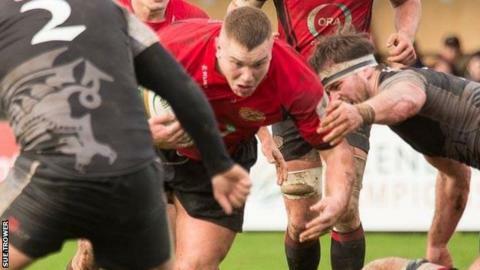 The former Cambridge prop made one start for Jersey in the Championship and played in four British and Irish Cup games, scoring one try. Heard, 21, moves to the Brickfields from National One side Hartpury and has been part of the academy of Premiership club Gloucester. "Both Toms will provide us with a big physical presence in the front row, an area we have been looking at strengthening," said Albion boss James Shanahan. "Fidler is experienced and is aggressive in the tight but there are areas of his game I know we can develop. "Heard is still very much learning his trade but he comes highly recommended and he has the ability to play at Championship level." "The squad for next season is coming together well but we still have another seven players to add to those who have already signed contracts," Shanahan added.